As a way of expressing our gratitude, for any gift of US$25 (or CAN$25, or €25) or more, we will send you the books Steps to Christ (see below) and View at Your Own Risk. Or take a look at our complete library: almost 150 books are available! 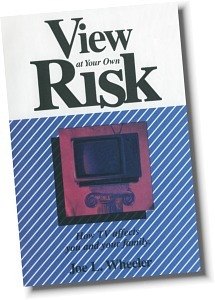 When improperly utilized, television can have many ill effects. What is television really doing to you and your family? This practical book presents sobering and often shocking facts. It will keep you informed and in control of your television viewing.